This entry was posted in Apple & Mac, Gear & Gadgets, Music, NPCC Production, Uncategorized and tagged Ableton, Ableton Live, Click, Click Track, Multitracks, North point, North Point Music, songs, worship by Reid Greven. Bookmark the permalink. Thanks for this post. We’ve been using Live for a year or two and it works great. One issue I can’t figure out how to fix is whenever I use the NPCC click sound I can’t seem to get the track volume loud enough to cut through the band. I can max out the track and pan it to one side and the musicians still complain that they lose the click in the mix. I prefer it to other click sounds but can’t figure out how to make it loud enough. I’d love to see the NPCC template too. The problem is the click sample itself. Both the frequency and transient aren’t “sharp” enough. A lot of guys like it for that very reason… it disappears. If you want something audible at low levels and pokes through the mix, the Live click is marvelous. 1 – EQ up a little high end, especially around 1k, giving it a little more bite. You may also dial back some low-mids to help that as well. I would love the NPCC template. Thanks! You’re right on both accounts, Mike! I just prefer having the space, just to be easier on the eyes. Same reason I don’t usually include the 4/4 thing as well. But fortunately it’s just a personal preference. OK Mike, right again. In those rarities, adding the time signature to all tunes is an inevitability. Another idea that I use that wasn’t mentioned (though perhaps this is what the DEMOS track is for? ): I have a track for MP3s, and on the first scene for each song, I drag the original recorded version of the song into a clip. I’ve got it mapped to a separate output, so there’s no danger of accidentally playing the recorded track mid-service, but it’s great for reference in rehearsals. Yes, that’s exactly what the DEMO track is for! Thanks so much – would love the template! Thanks so much man – would love the template! I would like to receive the template. We have been using pro tools and are very interested in seeing the advantages of abelton live. Thank you for sharing some details about how your church uses live. I would like the template, thank you! Hey Reid, Thanks for this post. I’ve been hesitant to use Live because no one i know uses it. I started with click/loop playing out of an iPod in 2005, and now use Reason 6 with multiple outputs. I’d love to try Ableton and use your template (tom@truenorthchurch.net). One question – do you use an external harddrive for the session files? As in, all of the sessions run smoothly off of the internal harddrive? You’re correct about recording audio to an external drive (and not your system drive) for lots of reasons. However, we’ve found that for tracks playback, the internal drive on a MacBook Pro works just fine. Your processor will bog down long before the disk does. Thanks for the post. I’ve hesitated using LIVE for a while because no one else i know is using it. I started with click/loop on an ipod in 2003 and have moved to using Reason 6 live on a MBP. I’d like to get your template and try out Ableton (tom@truenorthchurch.net). One question – do you ever run into issues using the internal harddrive to run all the sessions? As in, when multitracking, using a drive separate from the system drive is almost always necessary – is that the same for playing multiple tracks simultaneously? One question, why don’t you just bounce a click track to a wav file and launch it along side the other track elements? That’s what we’ve been doing. It makes 100% sure that the files are matched up with the click. I’ve been testing your approach and I keep having issues where the Impulse-generated click is not synced with the track files, no matter if they are warped or not. You can certainly do that, and it will absolutely work for nearly all songs. We discovered that on the rare occasion that we did a very fast or very slow song, the warp would effect the click sample (at least enough to be noticed and frustrating). So we’ve opted the “trigger the sample” route. But both approaches are great! I would like the NPCC template, thank you! Reid … I’d like the NPCC Ableton template. Also … I’m a worship pastor in the Atlanta area. Is there anyone at North Point that offers Ableton lessons? I’d love to get some training from someone that uses it in the worship trenches every week. I would like to receive the template! Thanks! Loved the information. We have not started using clicks, or loops in our services yet, but want to. I have been searching for loops that are not too busy, but not having much luck. Right now I would like to start using continuous loop that repeats on one side of a laptop out stereo jack, and a click on the other. I’m the drummer and have also been looking for something to fire the loops with in real time. What is something reasonably priced, that will work in your experience? Also, if you or anyone else may have any simple loops you could share that would work for today’s worship songs. We do stuff by Chris Tomlin, Planet shakers, Israel, Free Chapel, Steve Fee and such. Hi Reid, Thanks for posting this. We are a NP Partner church in Washington State and would love the template! Thank you for the information, very useful. I would love to get the template. I want to incorporate loops and click tracks in our worship. I have no idea where to start with Ableton so any help/templates would be much appreciated, thanks! Please send me the live template. We use Live Intro, will it work with this. Station? much more helpful than anything i found on youtube! would love the template also, if possible. i’d like a copy of that template. great article. thanks! would love the template you mentioned and any loops you are willing to share for our worship services as well. I would love to receive a template, I am hoping to try out some loops this coming Sunday so hopefully you’ll see this in time, thanks mate! Great post…Thank you! I would really like your NPCC TEMPLATE. I’m just getting started with loops and need all the help I can get. I just am just getting started with Ableton. I lead contemporary worship and play the keyboards at New Haven Church in Gainesville, Ga. I would love to have the template. 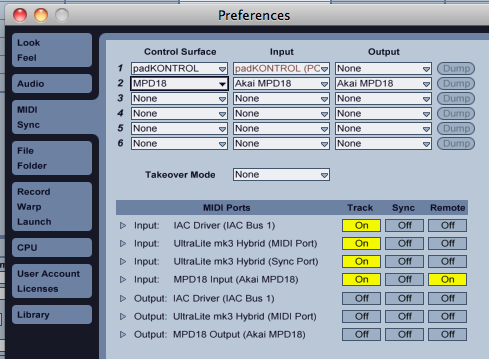 This is all new to me, but excited about what this software can bring to our band. Would appreciate the template. Thanks! Would love the template……. We use Ableton lite as we are just getting started in our loop journey!! I’m just getting started with Ableton also. I’d love to get the template you use. My email is benjycpx@riverridge.org. Thank you in advance. I would love that template! Thanks! Hey! I go to NPCC (transit) and am in the GACS Chapel Band and am getting started using ableton… I would love to use the template! dicksonky@gmail.com thanks and God bless!! I’m also interessed in your basic-template. Thanks! Hey, can you send me the Ableton Live Template? hirebrian2drum@gmail.com Thanks!!!!! template! and who triggers your loops and things? The drummer does, via Ableton! Great article! Found it to be very helpful. We use live mainly for keys, but could really benefit from running loops and tracks this way. If you’re still sending it out, I would love to check out your template. I would like to check out the template. I’d love to see that template. Thanks for making it available! I would love to use the template and sounds! Thanks so much for this post! If you could send it to matt@scottshill.org that would be awesome! Thanks so much! I’d love the template. Thanks for the article! 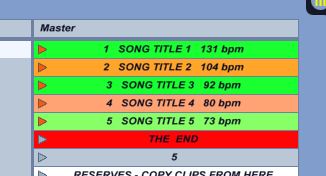 If you are still handing out ableton templates I would like a copy. Thank you for your willingness to share. Jimmym90@gmail.com – It would be a big help! would also enjoy the template. thank you! Thanks for the info — already using live pretty well. But still using its resident metronome capabilities (although I replaced the stock sound in the resources directory with something friendlier). However, would love your template if you get a chance. Great article! I’m just getting started with Live, I’d love to see your template if you get a chance! I would like to have a copy of that template. I would love to see how it works in our worship set. Thanks so much! Thanks for this info. It will help a ton. I’d love a copy of your template. Thanks for the great tutorial. Would appreciate the template. Hi there, Would love to have a copy of the NPCC Live template. todd@westwoodchurch.net . Thanks! Thanks for the article. I am a church planter and always looking for tools that can help us improve our level of excellence. thanks for offering 4he template. I would love the Template! Thanks for the info – very helpful. Please could you mail me the template if you get a chance. Thanks and God bless! Could I get a copy of your template? I’d appreciate a copy of your template. I’m just now getting into Ableton and learning as much as possible as fast as I can. Thanks for your investment into those of us who need some help. You’re an answer to prayer! Please send me a template if you wouldn’t mind. Great article! May I have a copy of your template please? Thanks! 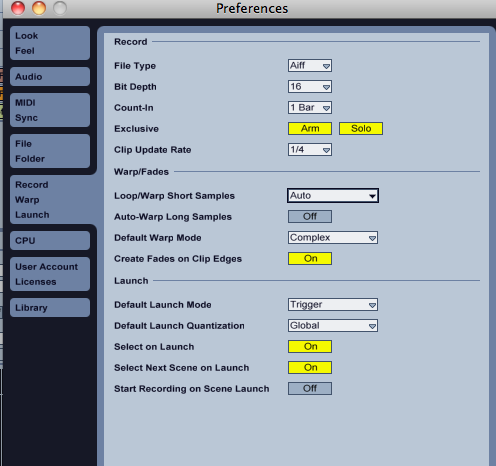 I’ve been using Sonar X2, which allows you to change the default metronome sound. Does Ableton live not have a similar functionality? Thanks so much for the wealth of information here!! Yeah, I know this article is from 2012, but we are just now starting to make software changes (we are a month into our brand new auditorium) and wanted your advice! Haha. I am in the Music Director at Heritage Church in Texarkana, TX. Our church has used the Northpoint model for several years now and it has made a huge difference in our ability to reach the unchurched in our community! Although our staff has attended DRIVE several times, we have never learned the “nuts and bolts” of how you use Ableton in your music production. I need to really know your definition of “linear programming” please. We are considering jumping to Ableton, but we need to know what we will be gaining in the exchange! We use NUENDO and have Track 1 as the Click Track panned to one side and Track 2 as a Loop Track panned to the other. The Loop Track has various percussion or synthy stuff that we are not able to play live. Each song is set at a certain location point. So, to begin the first song, I make sure I am at location 1, and I press the spacebar to fire it. For the next song, I jump to location 2, etc. The entire song plays as it is—one MP3, and if anything glitches, I just have to fade things out and regroup on the next song. BUT it gives us the ability to START each song when we want while I do pad sounds on the synth to flow inbetween so that whoever may be introducing the song can talk freely while I prepare to fire the click. What is the difference for the way you guys use Ableton? 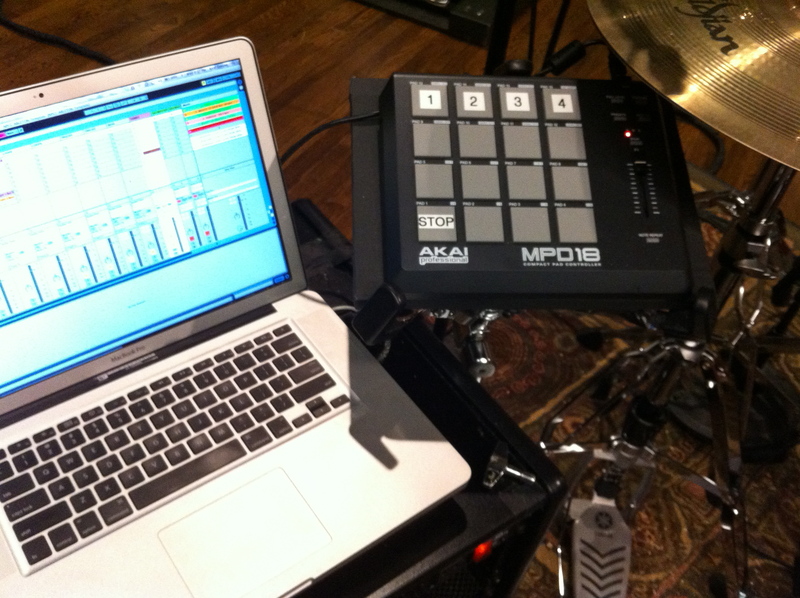 When I look at the pics of the midi controller your drummer uses, I only see 4 numbers on the pads. It appears that all he is doing is starting the song by hitting the appropriate number and letting it play as is—which is what we do. Do you have Ableton set up where each song is divided into Verse, Chorus, Bridge, etc. with the ability to loop at any section as needed? Thanks for any and all info you can give us Reid!! I can give ya my email if you prefer to respond that way! 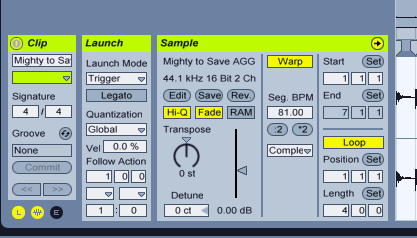 Theoretically you can set up Ableton’s scenes to be Verses, Choruses, etc. Although we choose not to. The vast majority of the time we just use one scene for one song, triggered by one of the controller’s pads. The only exceptions are if there’s a vamp at the top of a song (like while the Worship Leader does a quick welcome and/or song set up), and then a second scene & trigger pad is the actual body of the song. Of our current repertoire, only a few songs actually have specific programming (strings, extra gang box, perc at specific points, etc.). For a few others we’ll use an open-ended percussive loop to add texture. On a few songs we’ll use an open-ended tonal loop to, again, add texture. But right now, at least half of the songs we do for worship have no programming of any kind – just click. The vast majority of open-ended loops we use are percussive in nature, and not tonal (or drone as you stated). (Yes, we use a few tonal loops, but I can only think of two song in our current repertoire). Spectrasonics’ “Stylus RMX” is an incredible source for percussive loops. I’d say most of the loops created are with Stylus. But some others have come from various sources, like Logic’s factory library, Native Instrument’s “Damage” library, etc.